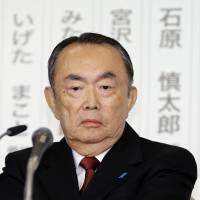 Outspoken nationalist Shintaro Ishihara, supreme adviser to Jisedai no To (Party for Future Generations) and a former longtime governor of Tokyo, lost his Lower House seat in Sunday’s snap election.. The 82-year-old veteran lawmaker had said he would retire from politics if he was unsuccessful this time around. After stepping down as Tokyo governor in October 2012, Ishihara was elected to the Lower House that December, returning to the Diet for the first time in 17 years. A prizewinning novelist known for his nationalistic views, Ishihara provoked a bitter diplomatic row between Japan and China by announcing the Tokyo Metropolitan Government’s plan in April 2012 to buy three of the Senkaku Islands from a private Japanese owner. The small island chain is also claimed by China and Taiwan. The uninhabited isles ended up being bought by the central government. Ishihara entered national politics in 1968 at age 35. His election to the Upper House was clinched with a whopping 3 million votes, the most ever. He switched to the Lower House in 1972 and later served as Environment Agency chief and transport minister under the Liberal Democratic Party. The hawkish politician abruptly resigned from the Diet in April 1995 over despair with politics. After he was first elected Tokyo governor in 1999, Ishihara drove through such initiatives as a new tax system for big banks and strict diesel vehicle exhaust regulations. 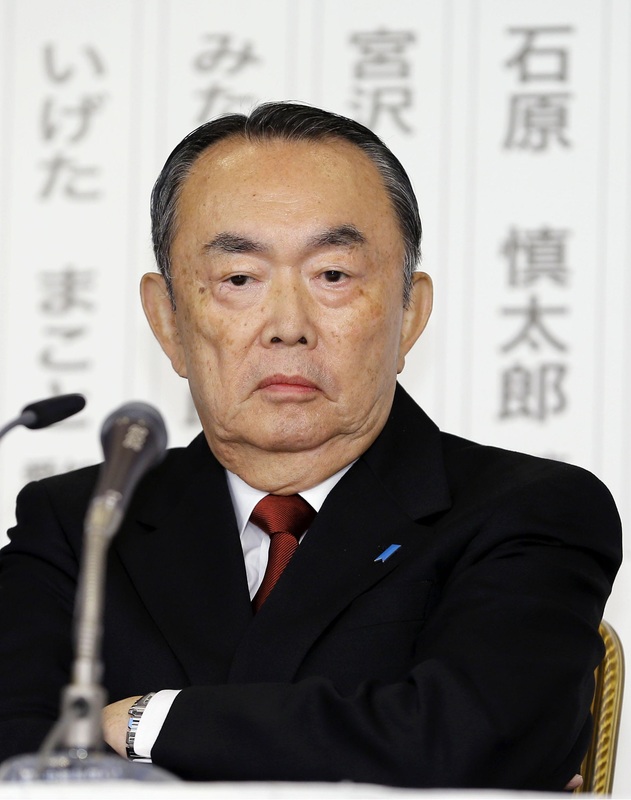 Other big names from Jisedai no To also lost their seats, including Secretary-General Hiroshi Yamada, General Council Chairman Takao Fujii, Hiroshi Nakata, head of the party’s Diet affairs committee, and Fumiki Sakurauchi, head of its policy affairs council. The party had 20 seats in the Lower House heading into the election but came out of it with only two. During the campaign, Jisedai no To said it agreed with Prime Minister Shinzo Abe’s economic policies but criticized him for failing to meet his goals. The party maintained that the Bank of Japan should end its latest round of monetary easing measures, arguing that a ¥200 trillion fund with government guarantees should be created instead to invest in selected public works projects. Jisedai no To has been the most aggressive party in promoting nuclear power. It pledged to maintain “the world’s most advanced nuclear technologies” without acknowledging the need to permanently close any of the nation’s reactors., many of which are at or near the set limit of their operational life.